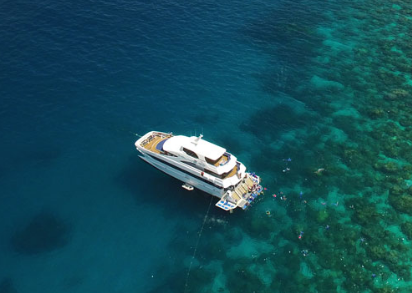 This ultra-spacious and comfortable vessel features seating and decks over 3 levels. Large well glazed interior spaces on the main and upper deck include a mix of booth configuration seating. The upper deck also has a VIP room. Private use of this room for up to 6 guests for the day is available - Please ask us for this special rate when booking! 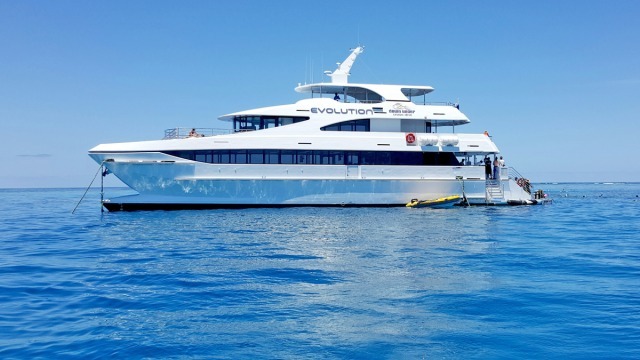 Evolution is licensed to take 250 guests but only takes a maximum of 160 passengers for guest comfort. 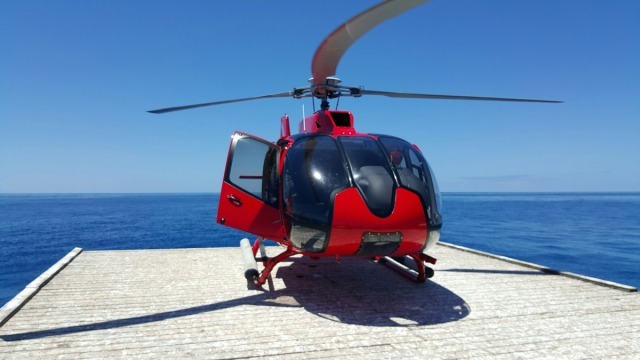 This is a popular vessel and does need to be pre-booked well in advance, especially if you intend to do a heli or intro dive combo such as the Get High Up Top Dive Down Under package. Enjoy oversized outdoor decks in the sunshine with sun lounges. A choice of outdoor seating areas fitted with comfortable lounges and well protected from the sun. 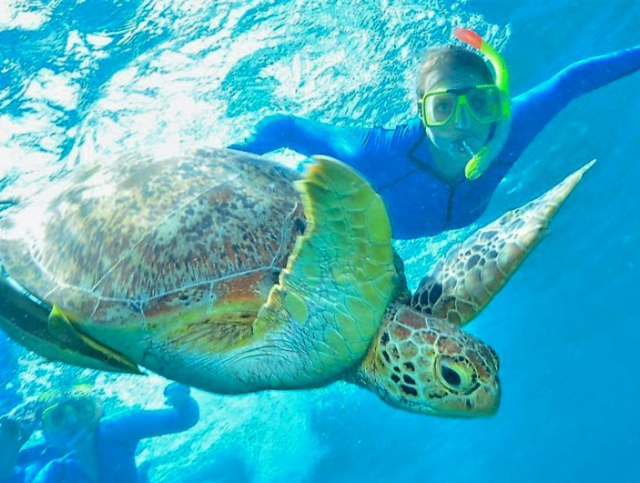 This trip returns to Cairns at approx. 4:30pm. Evolution boat was big and wonderful. Great staff on board. 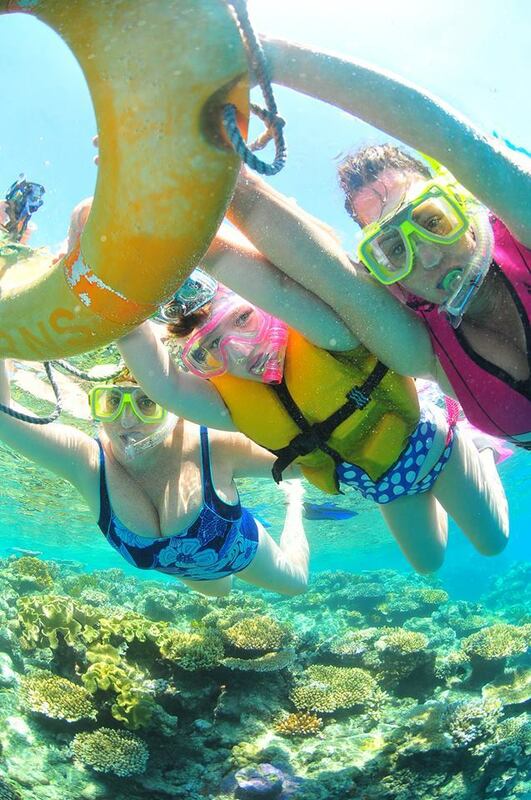 Snorkeling was GREAT in the reef. 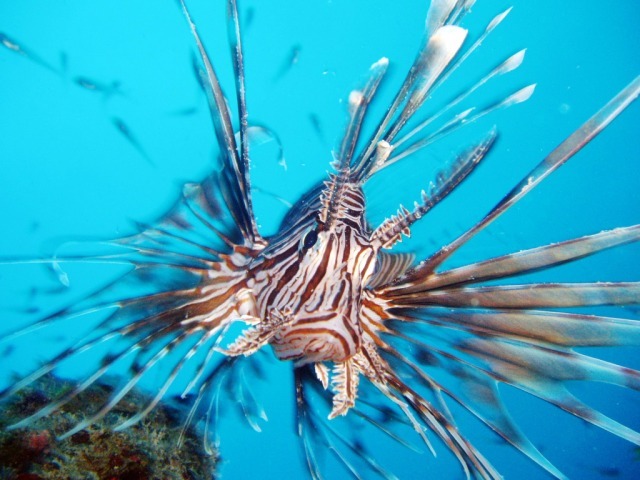 Stops at 2 different snorkeling locations. Great food on board as well. 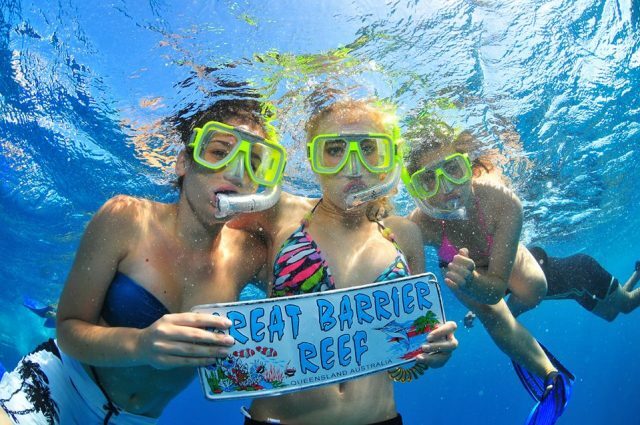 Highly recommend this tour to go see the Great Barrier Reef. Thanks to everyone at Travstar and on the Evolution who made the day great. The whole team where superb and my wife and I had a fab time. The helicopter at the end finished off the day superbly. Would definitely recommend to other people. Fantastic Team of people, positive, happy, professional and most important their first priority were the reefs well being. Do yourself more than a favour, BOOK NOW!!! I was particularly grateful for the way I was looked after when I was extremely seasick. Especially by Elvis, the Tour Guide, and crew member Maia. Staff on the ferry were very friendly. Facilities on the ferry were excellent. Reef - was AMAZING! A rough day and many were sick but the reef and crew were spot on 10/10. Brand new boat with friendly staff. Nice presentation in return trip. Food is good. Good design- I could lay down on desk when I felt seasick. 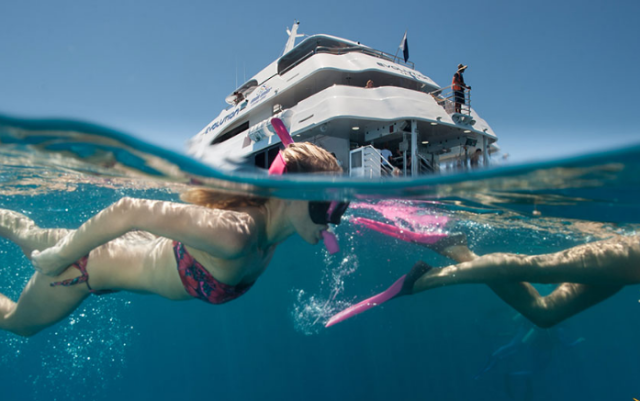 Fantastic program, a friendly crew, nice food and best of all lifetime of Reef experience. Special thanks to Elvis! 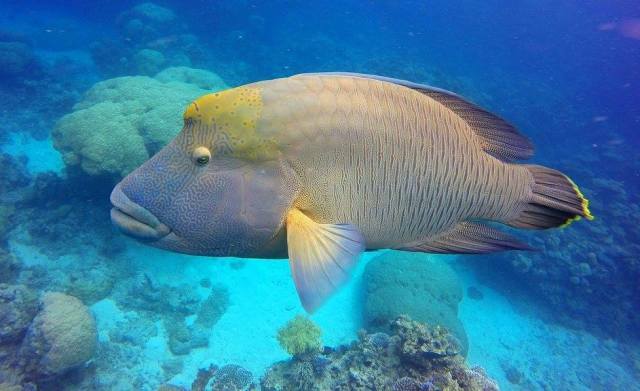 We had a great day out on the reef. The staff were friendly, courteous and entertaining - made you feel welcome & relaxed. The food was fantastic & plentiful. Really great crew who looked after everyone and made it a fun day. 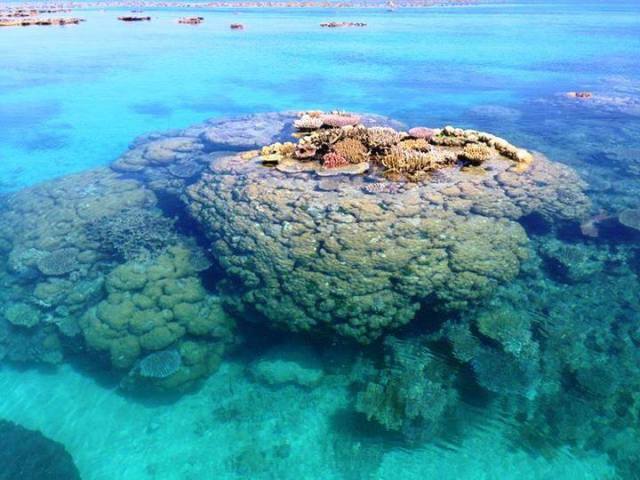 Beautiful location for snorkeling. And the semi-sub ride is great for the land-lubbers! Would do this trip again - fantastic day. Fantastic experience. Will do it again. Fun crew very professional, amazing time. I could not fault this company. Lunch and ambiance was great. The staff was friendly and professional. Excellent logistic. Lunch and ambiance was great. Highly recommended. The staff were very knowledgable and friendly for my first ever intro dive. Laid back, relaxed and a lot of fun. Laid back, relaxed and a lot of fun. Crew were lively and hospitable without being over the top. A great mix of people. Great staff, very entertaining lots of fun. Had the most awesome time. Great staff and had a fun day. We believe that stinger suits should be included in the pricing at this time of the year. Boat was very crowded and had trouble getting a seat to eat lunch etc. Great staff and had a fun day. Thoroughly enjoyed the trip and will recommend it to my friends. 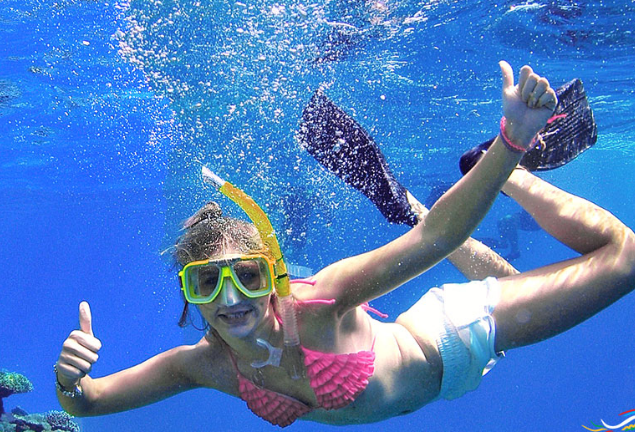 We would thoroughly recommend this cruise especially for families as the yhave a great family rate. Staff were excellent. Dont forget your sea sickness tablets though ! We had a fantastic time on the Osprey - the crew made sure that they did everything they could to make our experience one to remember. Really great trip, all the crew were enthusiastic and helpful. 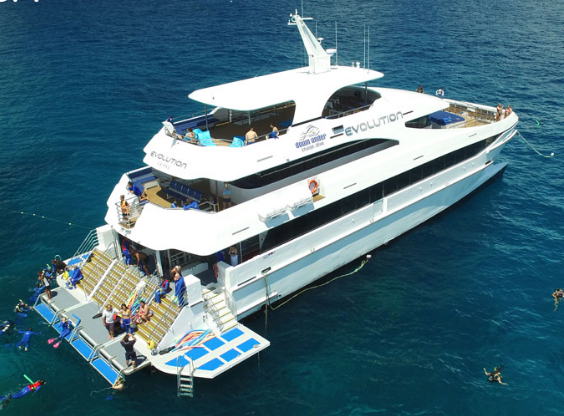 Had reservations when weather was so ordinary but the crew ensured we had a great day and reef was beautiful and onboard entertainment from \\\"Elvis\\\" on way back capped off the day. Would like to do again sometime. A great day out, the staff very friendly and entertaining and confident. Great crew, abundant tasty buffet. Much fun. In fact, so much so that we went out twice!! The staffs are very friendly and helpful. A bit disappointed that the semi-submarine tour was cancelled due to the windy condition. 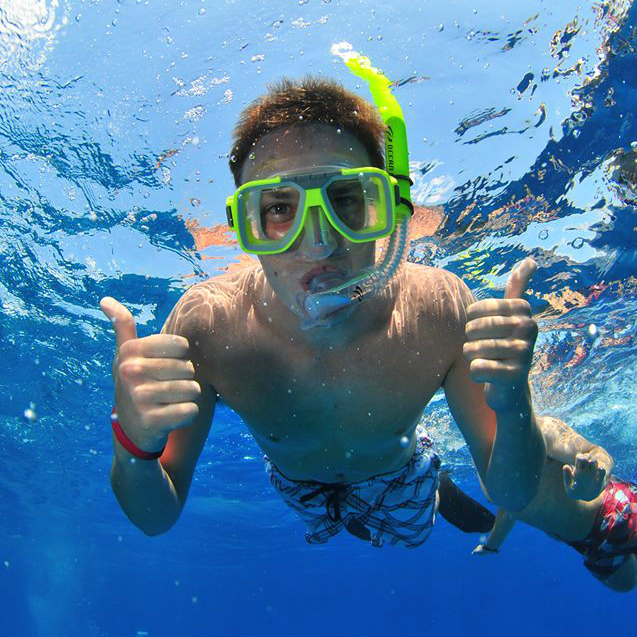 This is a tour more suitable for young people without seasickness problems. Great crew - all helped to make our experience very worthwhile! Big Thanks! 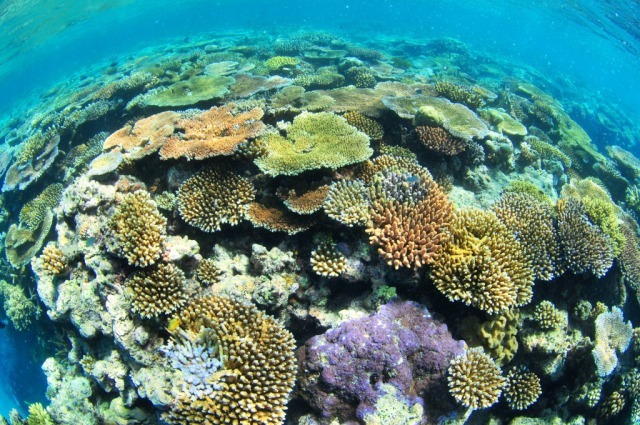 The trip to the great barrier reef was fantastic. My friend and I were deeply impressed by the well-prepared food, good service and excellent crew. Thank you. Very fast to get your response about all my queries, if not within one hour, it would be the first email the next day (in terms of the time difference) where I booked the tour in another country. . Thanks, Emma Lodge, the friendly consultant. Overall the trip was fantastic. The staff were entertaining and very friendly. I work for the Tourism Industry in Sydney and will definately promote Osprey back home. Fantastic day trip to the reef. Staff on the boat were friendly, fun and approacheable. Highly reccommed the intro dive and helicopter ride. Elvis Rocks! All good and enjoyed the day immensly. What can I say...my trip on the Osprey v was absolutely fantastic!!!! 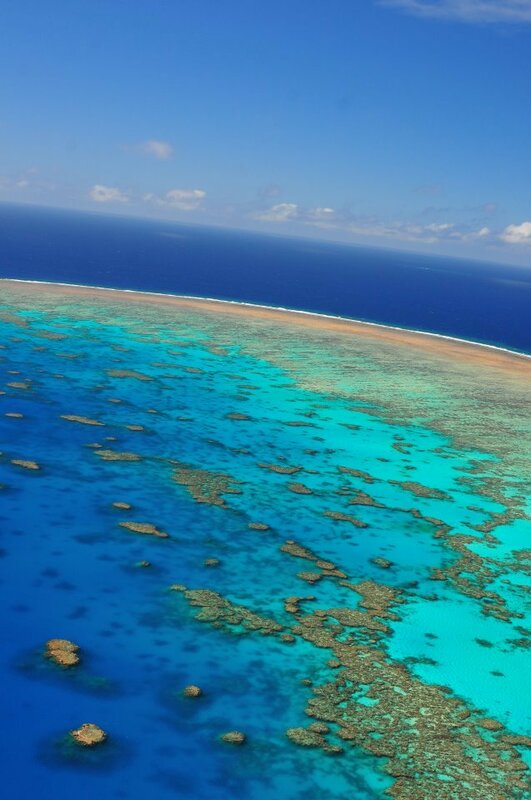 I cant say enough about how wonderful my first trip out to the Barrier Reef was! Ther are so many different boats going out to the reef it is a little overwhelming, not knowing which service to pick etc.I choose the Osprey V from the tourism website as it seemed like the the best value for money and offered reasonable facilities.I could not have choosen a better boat trip!!! 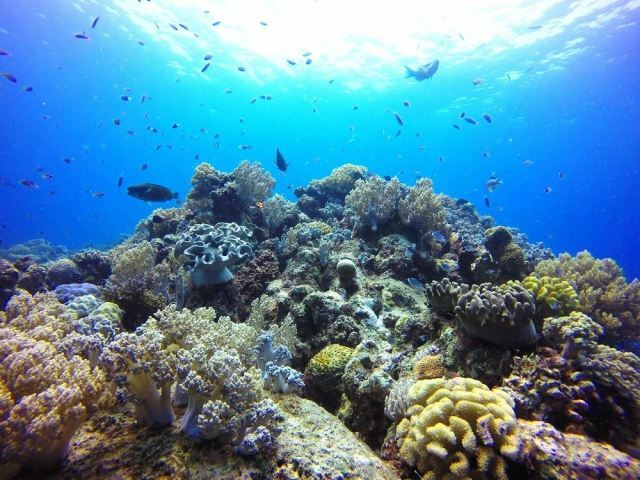 The whole reason for this trip was so I could take my ill father (who was once a dive instructor) out to see the reef as he had never had the chance to dive it. All the staff were unbelievably attentive, and fantastic at there jobs!!! 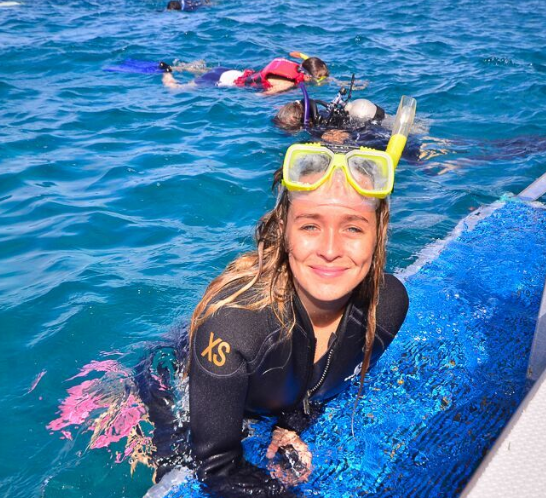 My father can no longer dive so we snorkled on a guided tour were one of the staff led us around. It was just fantastic!!! The dive spots were amazing!!! I can not express my gratitude enough to the staff who were so wonderful and helpful with my father, helping make this trip a memorable one. 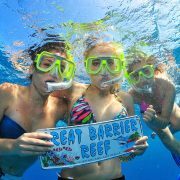 I highly reccomend this trip as a fantastic day out on the Great Barrier Reef. This trip is less expensive than some but Im sure offers a whole lot more!!! The Staff were fabulous. They made everyone feel very comfortable and even the non-swimmers were given a tour of the reef. We will definately return. The staff were excellent -especially as I suffered sea sickness on the way out - they were very attentive to all the passengers & really friendly & helpful. 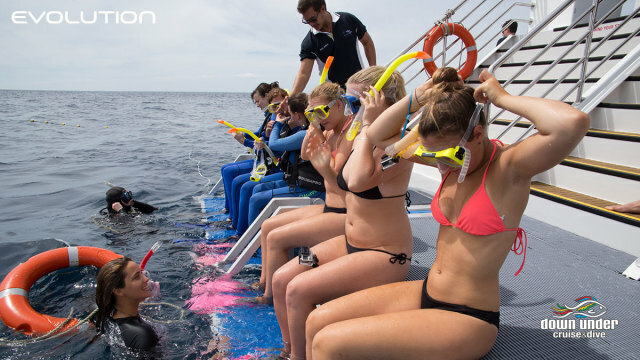 Had great fun, young crowd of people (mostly backpackers), boat was clean and comfortable(no seasickness as we had a calm day), staff were friendly and helpful, reef was simply amazing, introductory dives were fantastic. Will do it again, and would highly recommend it. 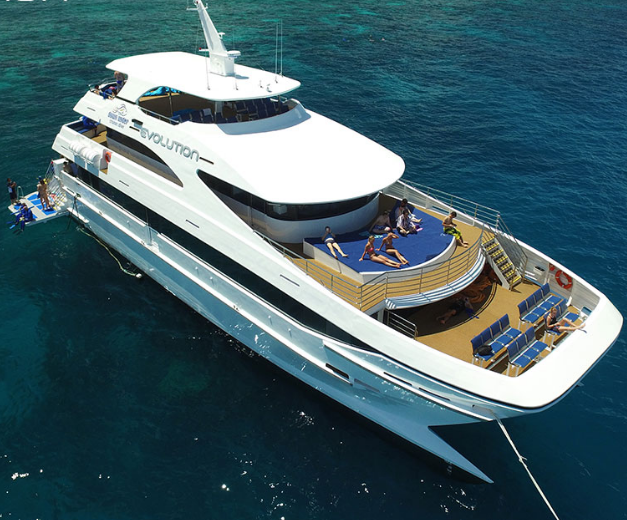 The boat is not \"flashy\" but is practical and comfortable and the trip is a great way to see the reef - good value for $.